The Kazakhstan sector of the Caspian shelf has the huge proved reserves of oil. As a result of geological and geophysical study, over 120 prospective structures were revealed the forecasted resources of which are estimated at 8 billion tons of conditional fuel, including 4.5 billion tons of oil. Recently, the question is actively exaggerated in the press on the increased share of China in the development of Kazakhstan’s hydrocarbon resources and about the ostensible sale of natural bowels to the detriment of our republic’s interests. In many respects, the underlying reason for the rousing interest is characterized by extreme politicization in the sphere of economic activity that always negatively affects its efficiency. Timur Kulibayev, the chairman of the board at Samruk-Kazyna National Welfare Trust, JSC, has never been one to search out the limelight, but this summer he unexpectedly became the focus both of the Kazakhstani and the Russian media. The fact that the Russian press, though spoilt for choice, put this influential Kazakhstani oil magnate on their front pages shows that the events involved were one of a kind. CPC Expansion is Given a Start! Samruk-Kazyna Fund intends to introduce shares of 8 major state-controlled companies to domestic stock exchange market before 2015. This is believed to not only bring trading on the stock exchange back to life, but also to influence state property management principles in Kazakhstan. Каrachaganak Petroleum Оperating B.V (KPO) has initiated construction of the Technopark in the town of Aksai in the Western - Kazakhstan region being an administrative centre for the Каrachaganak oil and gas condensate field. Gumar Dyusenbayev, deputy head of regional administration, Аibek Krambayev, head of technical group of the authorised body (PSA) and Paolo Repetti, KPO’s services director, have laid a symbolical «first stone» in the foundation of Technopark. Also, the employees of KPO and Kazakhstan contract companies as well as foreign investors took part in the ceremony symbolizing a start of the pilot project for the Technopark. «GRATA» Law firm has honor to submit you the information on the review of the project of the Caspian Energy Hub, the regional scale center which encompasses energy-related allied services. We hope that our information review can be useful for your company. In 2011, the Republic of Kazakhstan is celebrating an important milestone, the 20th anniversary of its independence. 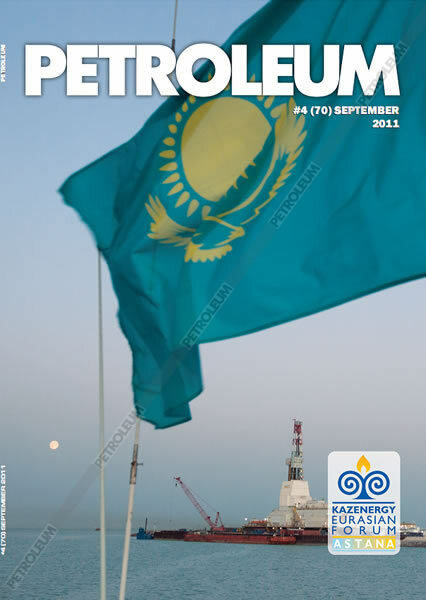 Chevron, along with the people of Kazakhstan, is proud to have played a role in this significant event. Chevron has been and continues to be the major investor in Kazakhstan. Tengizchevroil develops Tengiz and Korolev giant oil fields which make the greatest geological discovery of the last 25 years. Operating on the basis of the world’s best safety standards we strive to evolve into the world’s safest, most efficient, and profitable upstream enterprise. In 2011 year Kazakhstan celebrates 20 years of its independence. In principle, this is a small period, especially for a state. The nation has done much, but there is still much to be done. During the last twenty years we have lived in a united multinational country. The level of well-being is increasing year by year. If you want to study – the doors of every university are open for you. If you want to work – keep trying and you will find a job. All conditions are created for harmonious human development. This year we celebrate the 20th anniversary of Kazakhstan’s independence. In that time, Kazakhstan has become the unquestionable leader of Central Asia. One key reason for this success is the Republic’s policy of openness to international investment, expertise and skills. This has enabled Kazakhstan to unlock the potential of its great natural wealth, bringing stability, growth and prosperity to its people. In early September the celebrations were held in E^yzylorda devoted to the 25th anniversary of the start of commercial development of the Kumkol oil field. For the oilmen of Kazakhstan this year is really rich with anniversaries. It was one hundred years of the Dossor field, fifty years of the Mangyshlak oil and now, a quarter of a century since the start of commercial development of the Kumkol field which has become a driving force for the industrialisation of Kyzylorda oblast. Acid treatments (acidizing) of oil and gas wells by advanced acid compounds practically always give a growth in productivity per unit of the client’s expenses. Creation of highly efficient domestic acid compounds and infrastructure for work with acids allow the oilmen to use more widely this technique to increase oil recovery. Compared with GRP, this technique can be counted as sparing in regard to the collector and the field on the whole.